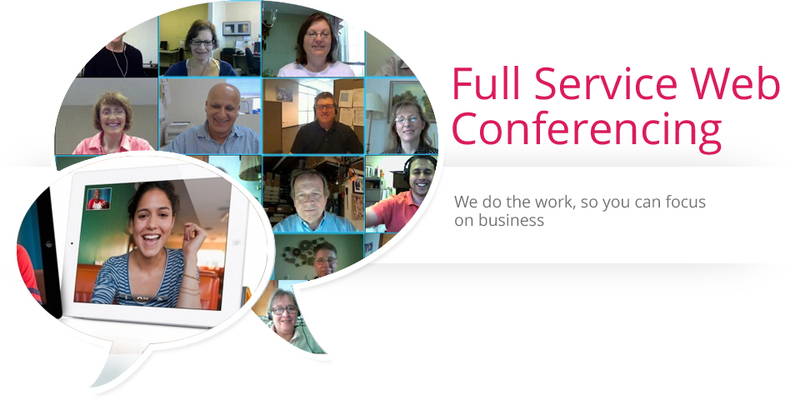 Full Service Web Conferencing, Production Services, Technical Support Team, Flawless Web Conferences and Webcasts, meetings & events. 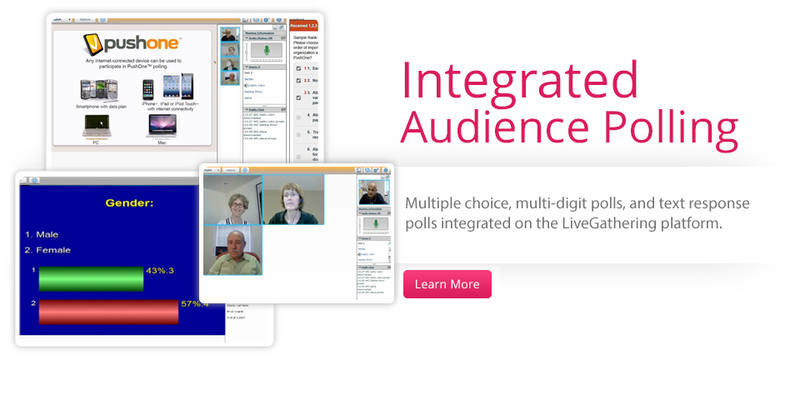 Face-to-face interaction with up to 16 video streams, audio by VoIP, and a full suite of Tools. User friendly web-conferencing with our Suite of Tools, including desktop sharing, video player, file sharing, public and private text chat, and whiteboard tool. Monthly subscriptions or full-service meetings are available. The Interactive Video Wall takes a LiveGathering web-conference and adapts it to a 16:9 flat panel video wall (from 4 to 16 screens in size). 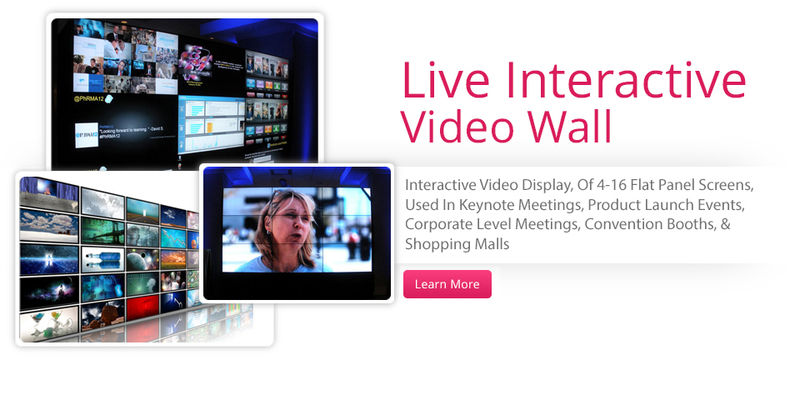 The presenters login to the web-conference from their individual locations, and the streams from the locations are then transmitted via the web to the video wall. 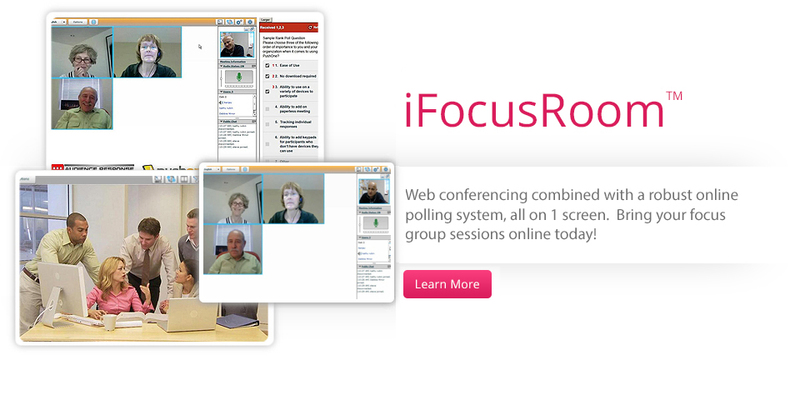 Fully supported web-conferencing meeting service. 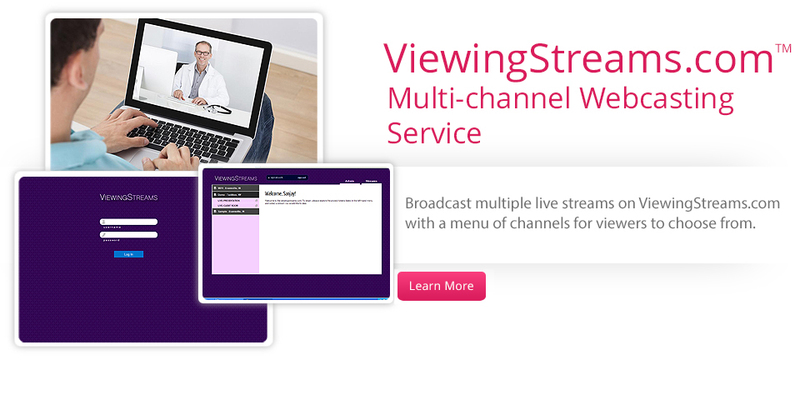 Face-to-face interaction with up to 16 video streams, audio by VoIP, and up to 250 viewer seats. Full service meetings include: meeting creation, emailing meeting invitations, operating the meeting with full suite of tools (optional), and recording (optional).